This topic is going to be broken into two parts. This part is going to deal with felony probation violation in Texas. The next part is going to deal with misdemeanor probation violation in Texas. 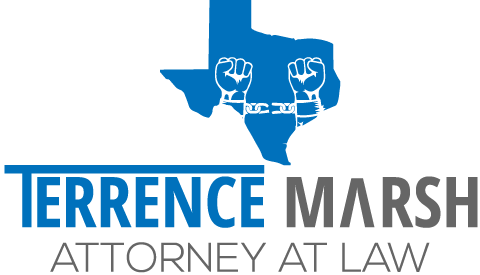 Felonies are the more serious offenses in Texas. These can range from 6 months in State Jail up to life in prison. I’m sure you have some questions already. If you’re not sure what type of probation you or a loved one are on, you need to check with your Probation Officer (PO) or your paperwork that put you on probation. Getting Worried… What happens next? Next, and probably the biggest stress on your mind is – What Happens If you Violate Probation? Not checking in/coming to appointments to see PO. Not doing community service/paying fines, fees or court costs. Arrested and/or convicted of a new criminal charge. Not staying away from bars, people involved with drugs, or the victim of your criminal case. Not going to treatment/counseling as required. Much like I’ve linked to above, Felony Probation Violation in Texas is nothing to joke about. If you’re on a Deferred Adjudication for a Third Degree Felony (2 – 10 years in prison), and a Motion to Revoke is filed against you, you’re looking at the full range of punishment? What does that mean? It means that at your hearing the Judge can sentence you to up to 10 years in prison!!! I think of deferred adjudication like a second chance to prove yourself. It’s a carrot on a stick to keep a conviction off of your record. If you are revoked, the consequences can be very, very harsh. Assuming that you read some of the links above, a Straight Probation in Texas is less risky from your standpoint. Why? It’s less risky because the potential prison time is already capped from the very beginning. A Straight Probation is a already a conviction on your record. Second, using the example above, you may be on a probation for 5/5. If you’re on probation 5/5 that means that your five year prison sentence is capped at 5 years. The maximum amount of time a Judge can send you to prison then is 5 years instead of the full range of punishment (10 years). The best possible outcome is usually that the Judge will continue you on your probation. If you’ve had many violations already, this should be your final wake up call. Get away from the drugs, alcohol, and other things that are bringing your life down. If you need help, ask for it. It is much better that you communicate with your PO than avoid them. As I’ve said before, your relationship with your PO can make or break whether or not you get revoked. Probation is the eyes and ears of the Court! Staying on probation will happen so long as you follow your Conditions of Probation. Everyone slips up now and then. Bringing your slip ups to the attention of your PO is generally better than hiding them. If there is a weakness in your chain then you need to focus on that weakness to move forward. The reason why is that they will usually find out eventually. Often they’d rather hear the news from you than find out on their own and then it seems like you were hiding it all along. I’ve been sentenced a 5 year felony differed judification..For theft of Brass..which was an enhanced charge because of prior thefts.. I just failed my first u.a today. And this would make my first violation since I’ve Been put on probation.. I’ve been on probation since August 2016, have completed some community service hours, have completed drug and alcohol assessment, Evaluation, have been attending NA AA meetings. Went to and completed drug class..However I’m behind on payments..but do make some kind of payment each month…what do you think they will do to me? ?